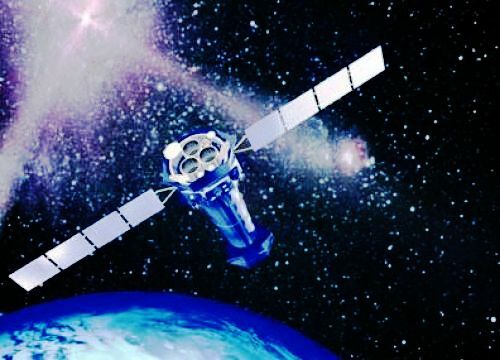 Researchers from the University of Cambridge, used data from the European Space Agency’s (ESA) XMM-Newton space observatory to reveal for the first time strong winds gusting at very high speeds from two mysterious sources of x-ray radiation. The discovery, published in the journal Nature, confirms that these sources conceal a compact object pulling in matter at extraordinarily high rates. Two black holes in nearby galaxies have been observed devouring their companion stars at a rate exceeding classically understood limits, and in the process, kicking out charged particles into surrounding space at astonishing speeds of around a quarter the speed of light. 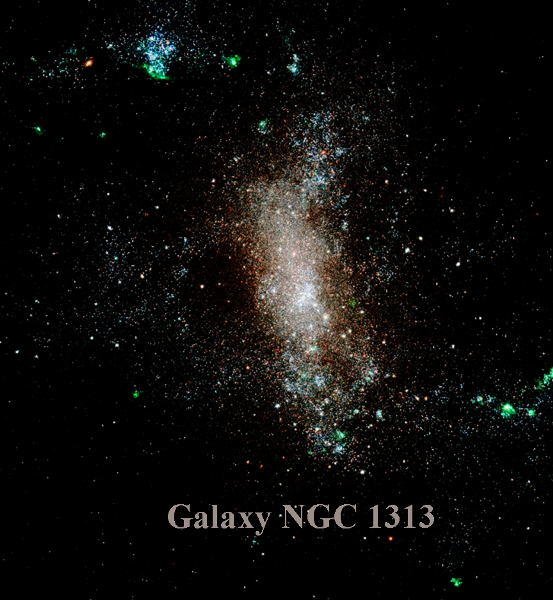 Pinto and his colleagues collected several days’ worth of observations of three ultra-luminous x-ray sources, all located in nearby galaxies located less than 22 million light-years from the Milky Way. The data was obtained over several years with the Reflection Grating Spectrometer on XMM-Newton, which allowed the researchers to identify subtle features in the spectrum of the x-rays from the sources. 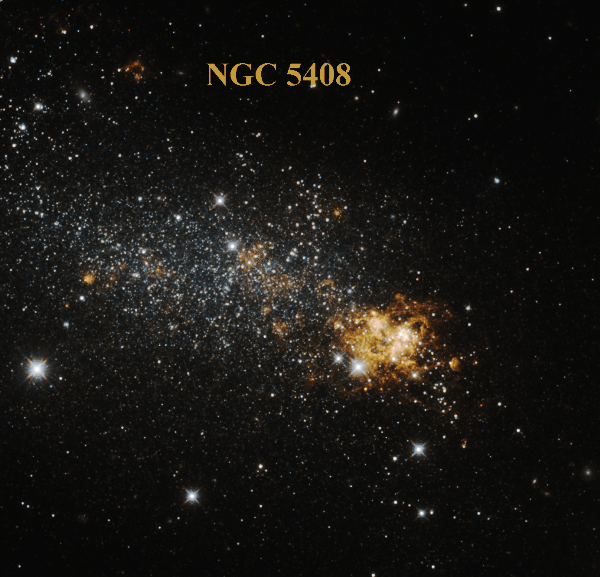 But two of the three sources – known as NGC 1313 X-1 and NGC 5408 X-1 – also show clear signs of x-rays being absorbed by gas that is streaming away from the central source at 70,000 kilometers per second – almost a quarter of the speed of light. 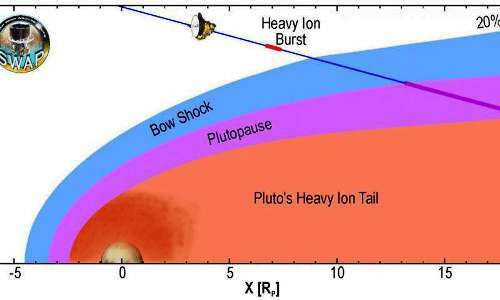 While the hot gas is pulled inwards by the central object’s gravity, it also shines brightly, and the pressure exerted by the radiation pushes it outwards. This is a balancing act: the greater the mass, the faster it draws the surrounding gas; but this also causes the gas to heat up faster, emitting more light and increasing the pressure that blows the gas away. There is a theoretical limit to how much matter can be pulled in by an object of a given mass, known as the Eddington limit. The limit was first calculated for stars by astronomer Arthur Eddington, but it can also be applied to compact objects like black holes and neutron stars. Eddington’s calculation refers to an ideal case in which both the matter being accreted onto the central object and the radiation being emitted by it do so equally in all directions. 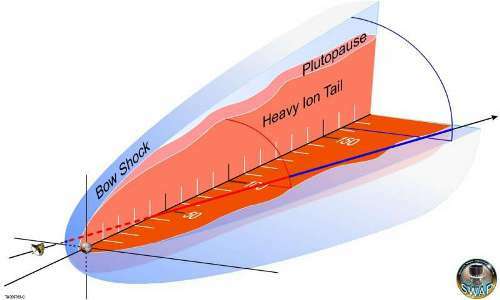 But the sources studied by Pinto and his collaborators are potentially being fed through a disc which has been puffed up due to internal pressures arising from the incredible rates of material passing through it. These thick discs can naturally exceed the Eddington limit and can even trap the radiation in a cone, making these sources appear brighter when we look straight at them. As the thick disc moves material further from the black hole’s gravitational grasp it also gives rise to very high-speed winds like the ones observed by the Cambridge researchers. 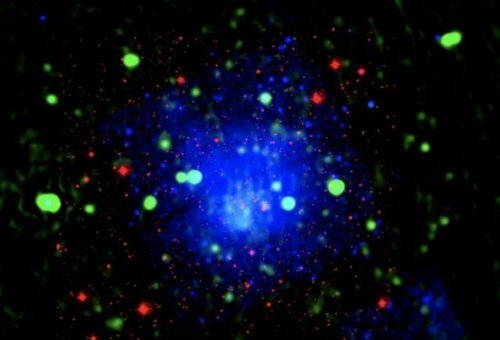 “By observing x-ray sources that are radiating beyond the Eddington limit, it is possible to study their accretion process in great detail, investigating by how much the limit can be exceeded and what exactly triggers the outflow of such powerful winds,” said Norbert Schartel, ESA XMM-Newton Project Scientist. The nature of the compact objects hosted at the core of the two sources observed in this study is, however, still uncertain. Based on the x-ray brightness, the scientists suspect that these mighty winds are driven from accretion flows onto either neutron stars or black holes, the latter with masses of several to a few dozen times that of the Sun. 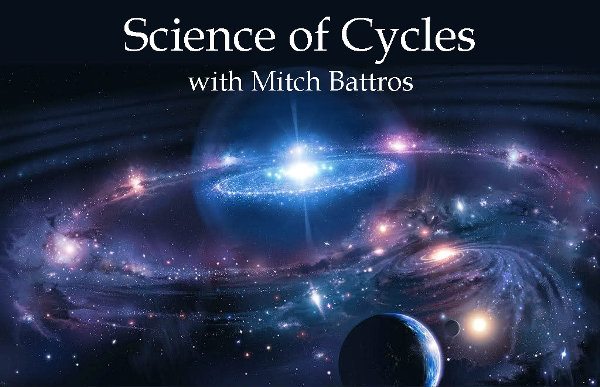 Mitch Battros and Science of Cycles Research Sponsorship Fundraiser – Be part of keeping ‘Science of Cycles’ alive and free. Your support is needed to keep this unique and valuable resource. Help sponsor us with your pledge as you see fit to the value you receive. The researchers, from the University of Cambridge, used data from the European Space Agency’s (ESA) XMM-Newton space observatory to reveal for the first time strong winds gusting at very high speeds from two mysterious sources of x-ray radiation. The discovery, published in the journal Nature, confirms that these sources conceal a compact object pulling in matter at extraordinarily high rates. At present, liquid water on Mars only exists in small quantities as a boiling liquid, and only during the warmest time of day in summer. Its role has therefore been considered insignificant until now. However, an international team including scientists from the CNRS, Université de Nantes and Université Paris-Sud and headed by Marion Massé, from the Laboratoire de Planétologie et Géodynamique de Nantes (CNRS/Université de Nantes)has now shown that even though water that emerges onto the surface of Mars immediately begins to boil, it creates an unstable, turbulent flow that can eject sediment and cause dry avalanches. The flow of small amounts of a boiling liquid therefore significantly alters the surface. The discovery of this exotic process, unknown on our planet, radically changes our interpretation of the Martian surface, making it difficult to undertake a direct comparison of flows on the Earth and on Mars. These findings are published on 2 May 2016 in the journal Nature Geoscience. 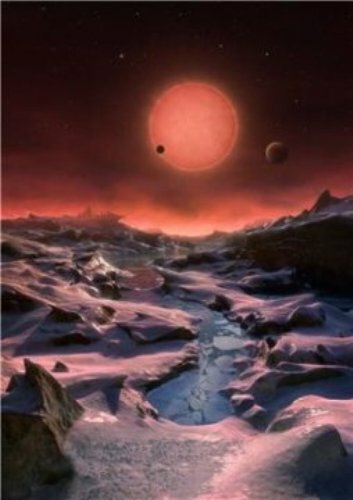 A team of astronomers led by Michaël Gillon, of the Institut d’Astrophysique et Géophysique at the University of Liège in Belgium, have used the Belgian TRAPPIST telescope to observe the star 2MASS J23062928-0502285 now also known as TRAPPIST-1. They found that this dim and cool star faded slightly at regular intervals, indicating that several objects were passing between the star and the Earth. 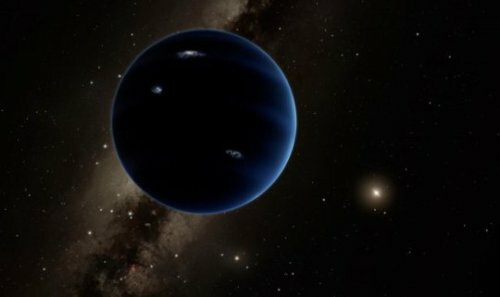 Detailed analysis showed that three planets with similar sizes to the Earth were present.